Ever wanted an intimate chat with people who treat the wounded in wartime, fight epidemics and respond to disasters? 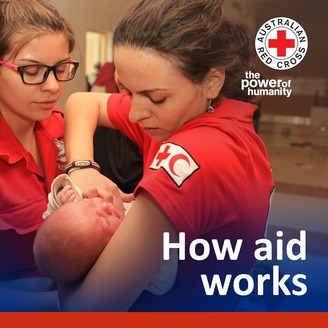 Season three of our How Aid Works podcast continues to reveals secrets from the frontlines of aid. Get ready for a wild ride with larger-than-life, uplifting and occasionally tear-jerking stories. Pearls of wisdom are served for your listening pleasure, with black humour and down-to-earth honesty. 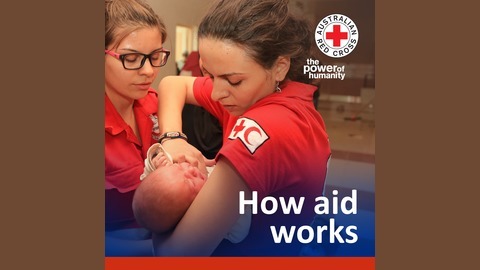 If you've ever wondered how aid works, this is the show for you. Nuran Higgins knows how hard it can be to live from hand to mouth, not knowing where the next meal is coming from. Once homeless, she is now helping to improve the way aid is delivered from Nepal to Afghanistan. What does a tap mean?